This Valentine’s Day why not love yourself and your friends by downloading a new free e-book for mental health? The Little books of Mental Health LifeHacks are practical guides packed with ideas and links to support mental health. They include true stories from people who’ve tried out some of the LifeHacks (ways of improving life) and aim to keep people feeling positive, happy and well, plus there is advice on how to support friends with their mental health. The booklets, funded by Somerset County Council Public Health, were created by Somerset Young Mental Health Champions, a group of young people who came together as a result of their work on local mental health forums and with other settings. They found that positive mental health is something you can DO, not something you HAVE. As a result they set out to create a set of practical booklets with steps to help all young people and their friends help themselves and take action for positive mental health. Cllr. 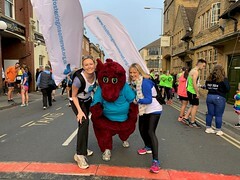 Anna Groskop, Cabinet member with responsibility for Public Health, Somerset County Council said: “Life will always have its ups and downs but with positive mental health we can all deal better with what comes our way in life. • Little Book of Mental Health LifeHacks to support a friend. The whole Little Book of Mental Health LifeHacks resources can be viewed on the Somerset LifeHacks website and includes access to promotional posters and postcards which people can collect to display in relevant Somerset settings.